A number of schools are turning to Cengage to come up with new ways to help their students gain more affordable access to their course materials. Recently, both Warren County Community College in New Jersey and the University of the Southwest in New Mexico said they would roll out the company's new unlimited subscriptions offering. At the same time, Missouri's Columbia College went public with news that it would work with the education media company to provide course materials to its students as part of a single tuition charge. Warren County CC expected to implement the Cengage Unlimited subscription service institution-wide beginning in the spring semester that starts in January 2019. Under Cengage Unlimited, students gain access to all their curriculum in digital format, including textbooks and related materials, for a one-time annual fee, as well as any other of the 22,000 products produced by Cengage. According to Will Austin, president of the college, students taking a four-course load each semester could expect to save about $1,000 per year. He added that the "customized negotiated agreement" would also provide students who prefer physical books with access to those too, through a fee-based print rental program. Cengage publicly prices its Unlimited subscription for $120 per semester or $180 per year. A similar structure is being introduced at U Southwest, where students will get access to the curriculum service on day one of class through their Blackboard learning management system. Columbia College, on the other hand, is adopting Cengage's "inclusive access" model as part of its "Truition" initiative. Blending truth plus tuition, Truition is intended to establish an all-in-one tuition rate — $1,125 per course — that also covers fees and digital course materials. While based in Missouri, the campus has 35 "extended" locations in 13 states and Cuba, plus a robust online program. Earlier this year the school announced an agreement with Ed Map to help with embedding digital curriculum into its courses. In other news, Cengage announced that it would contribute the narrative content for three openly licensed textbooks, as well as the learning objectives and assessments for 12 course areas, as open educational resources (OER). Cengage also said that starting next year it would make some of its content available for download and editing on its website under Creative Commons Attribution (CC BY) licensing. Learning objectives and assessments will be made available for those same textbooks with an instructor login. 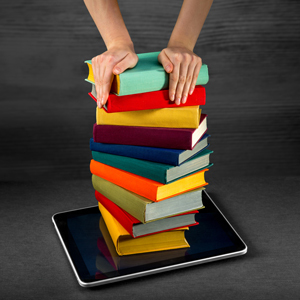 These materials include OER textbooks developed by nonprofit OpenStax. According to company officials, the Cengage versions of those materials are expected to be used by more than 5,000 students around the country this fall. OpenNow is available for standalone purchase for $25 per student per course. (Textbook contents themselves are openly available directly from OpenStax for free.) Beginning in January, OpenNow will also be part of Cengage Unlimited. "Our company has undertaken several initiatives to lower the cost of materials and increase access to quality learning," said Cheryl Costantini, vice president of content strategy for Cengage. "OER is a key part of these efforts and we are excited to freely share this content, learning objectives and assessments."